Our mermaid doll is pretty as a picture with her pink & cream tail, with brown hair and black eyes. Soft dolls are great baby toys and our dolls will be both a companion and best friend for your child. 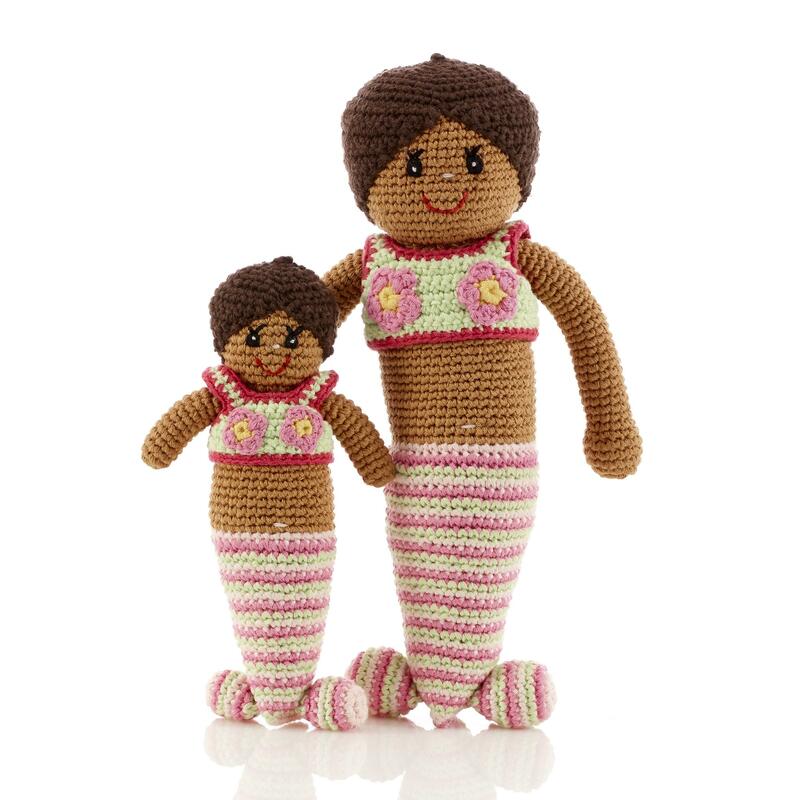 Our traditional handmade dolls are perfect both as comfort toys and to encourage creative play. Soft dolls encourage young children to engage in imaginative play, and they often share their feelings with their favourite soft dolls and may conduct elaborate conversations. They are also excellent travel companions on long car journeys, or going on holiday, helping to alleviate boredom and acting as a comfort toy when going to new places. •	Handmade and fair trade. We know who made our dolls! Hand crocheted from 100% cotton yarn, fair trade and suitable from birth. Machine washable.